HAPPY 2012 everyone! There’s been significant progress since my last post! December was a busy month to say the least. 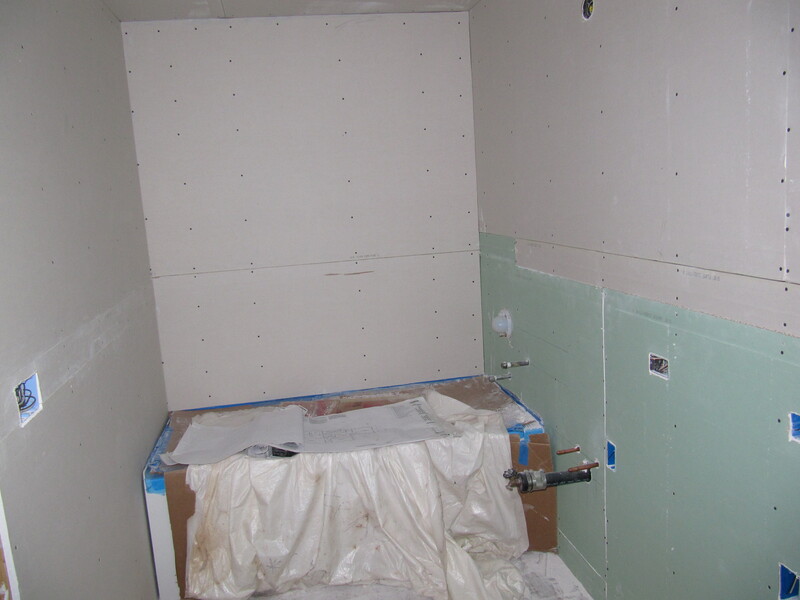 It is normally hectic before and during the holidays, but with a big construction project on top of that it’s a perfect storm. 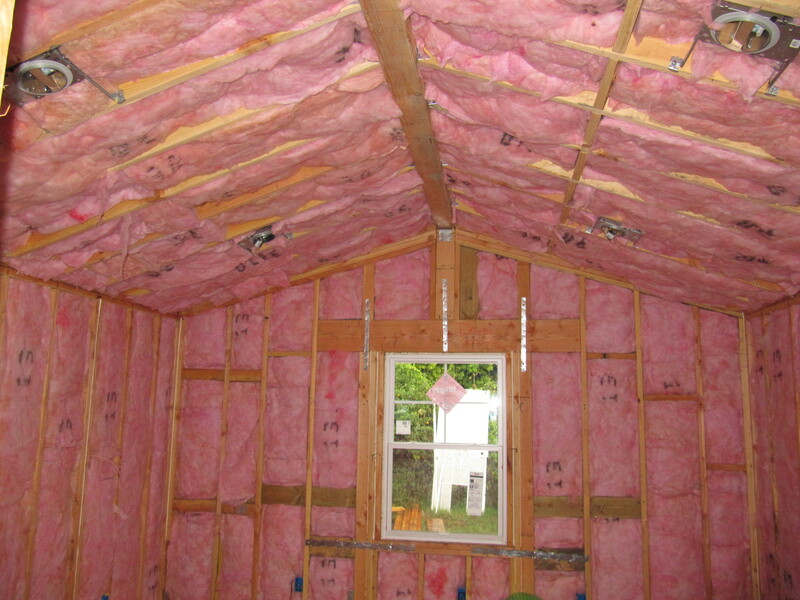 During the 10th week (Dec. 12-18) the addition got some insulation in the ceiling and walls. 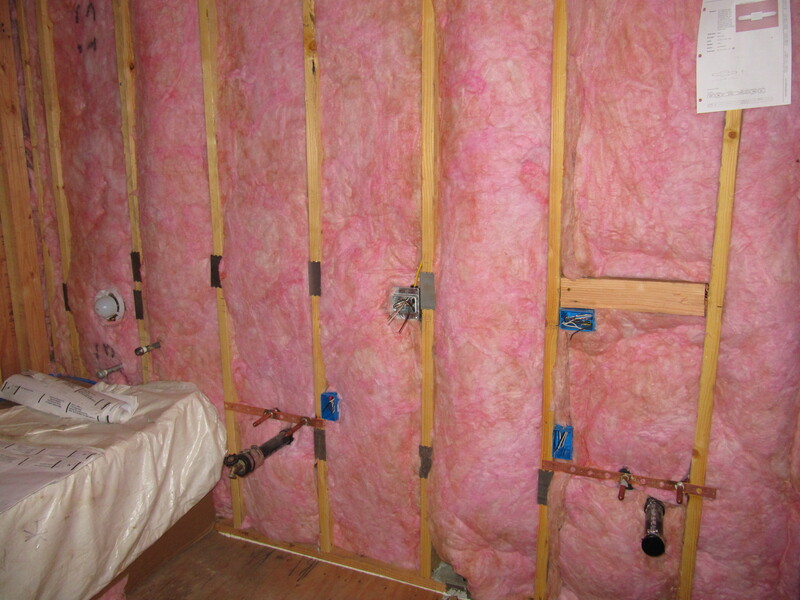 Nothing special, just the basic pink fiberglass stuff to meet the building code here in California where it rarely gets below 45-50 degrees fahrenheit. 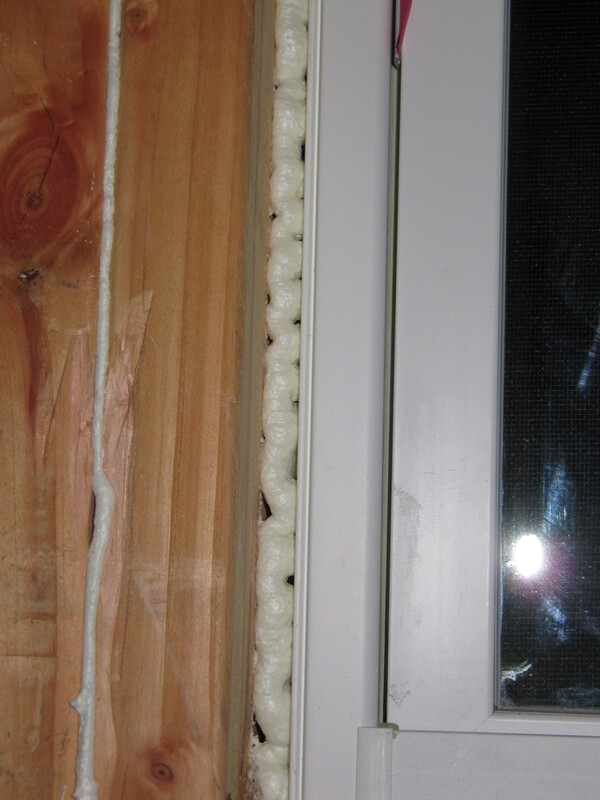 They also put some spray foam around the windows. These energy saving items are now required to meet code, which is a good thing. 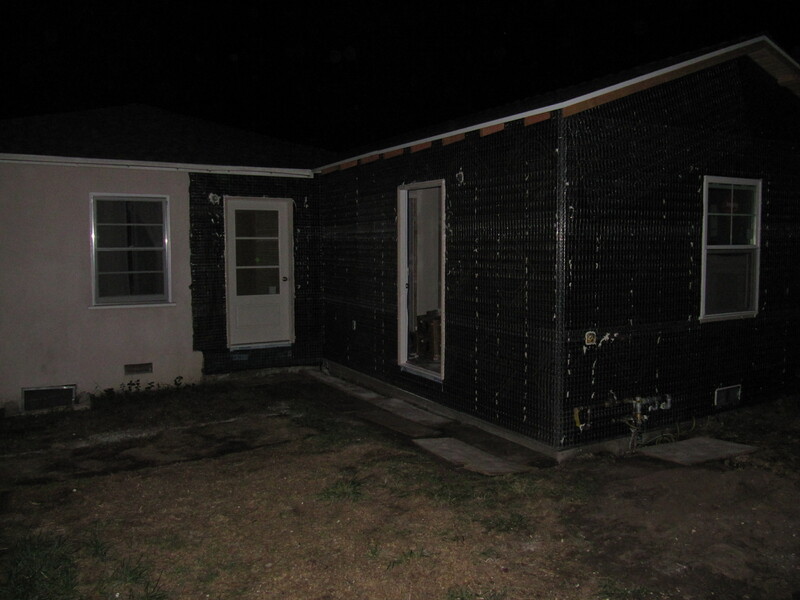 Older homes in California like ours have zero insulation, so you bake in the summer and freeze in the winter. It’s most comfortable in the spring and fall around here. 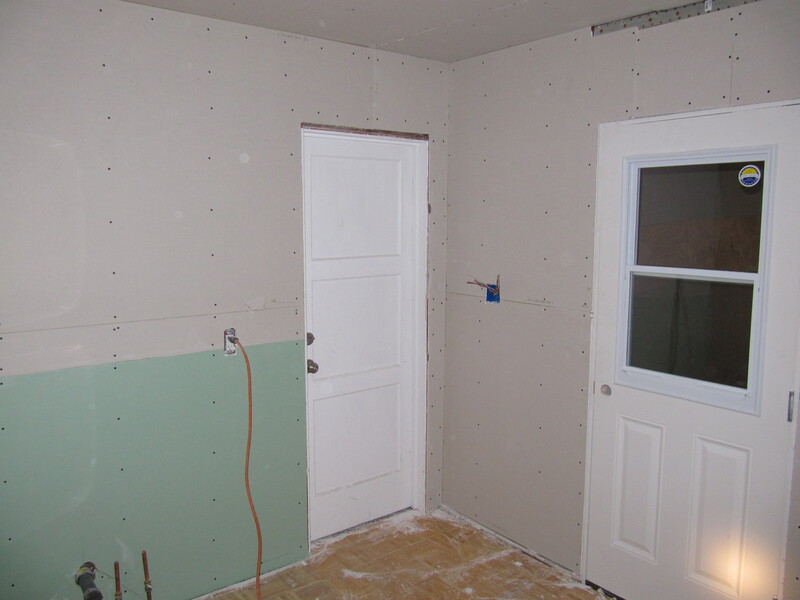 Once that work passes inspection the drywall starts to go up. 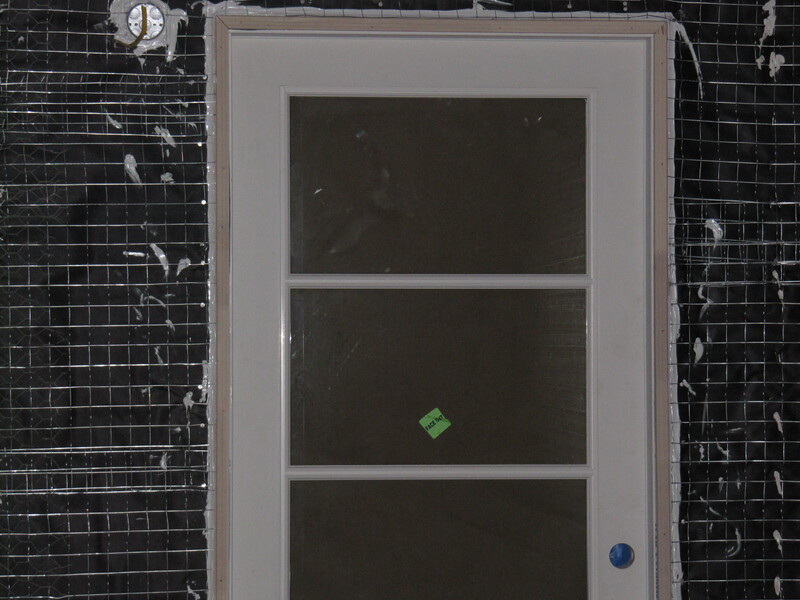 Meanwhile another crew did some finishing work on the wire (aka “chicken wire”) around the exterior doors. Here are some photos. 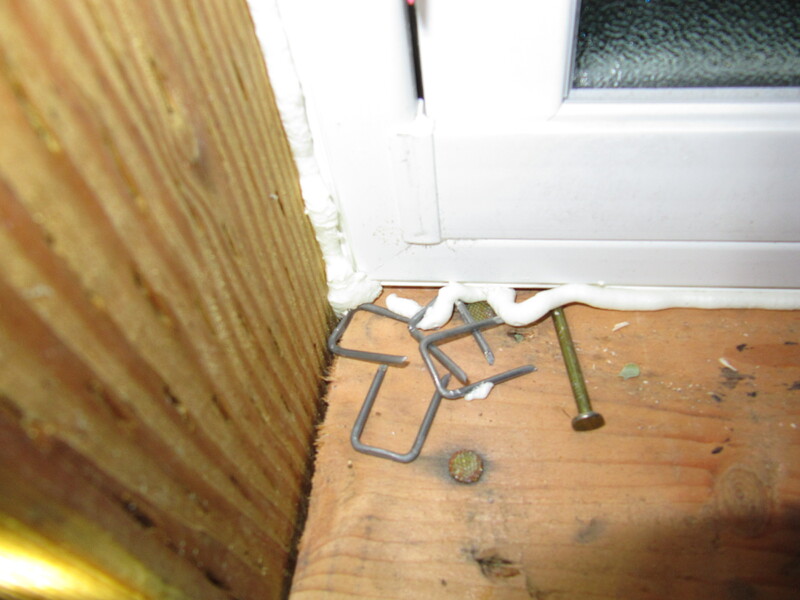 SPRAY FOAM AROUND WINDOWS – Notice the staples and nail … must be a new insulating technique … ha-ha 😉 After pointing this out to the general contractor he came and fixed that spot. 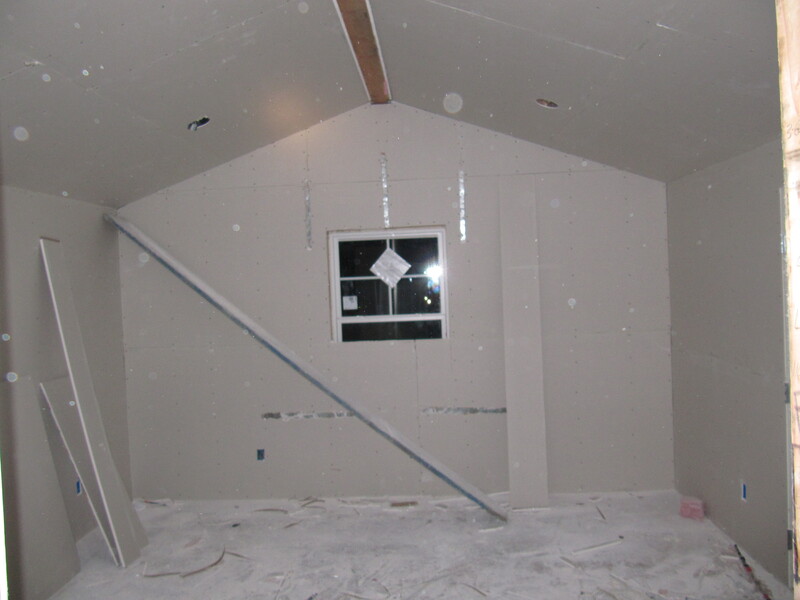 DRYWALL GOES UP – Note all the earthquake straps above the windows. 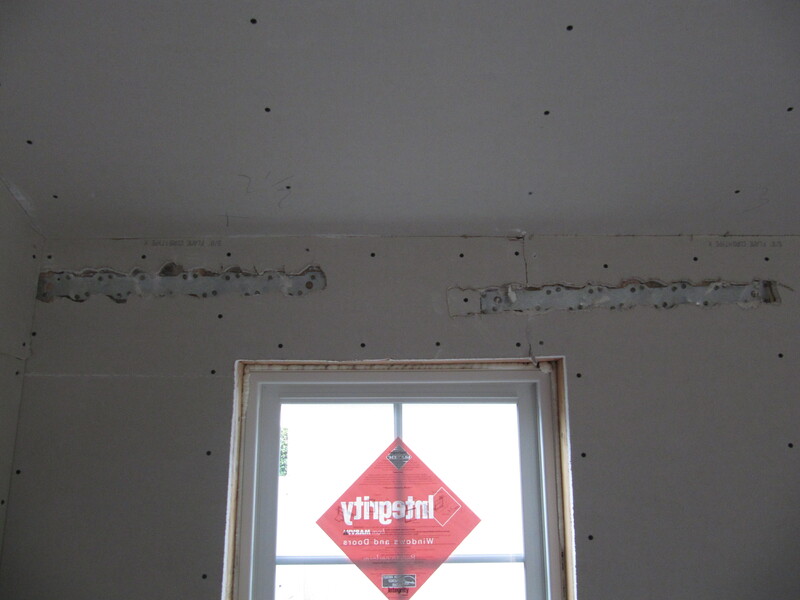 These straps stick out so they have to cut the drywall around these and later on will fill these recesses with joint compound. These 3 photos are in the bedroom. 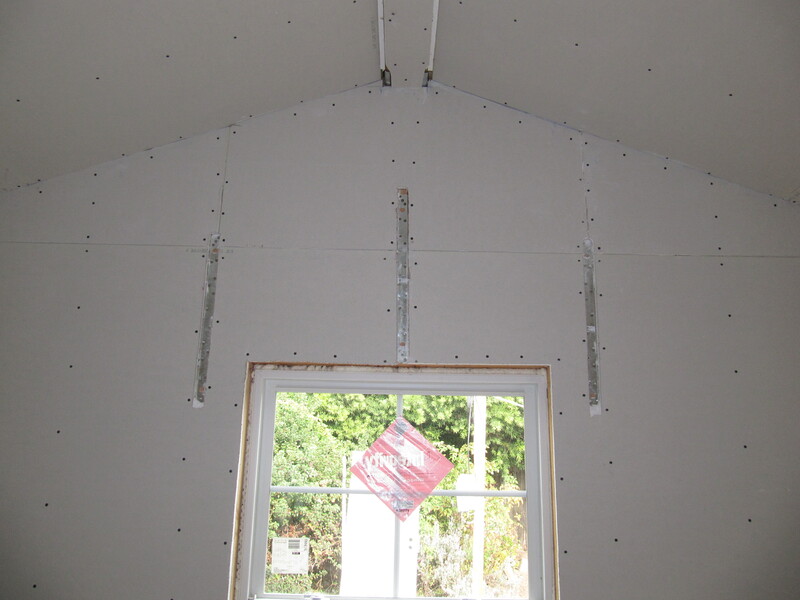 EXTERIOR WIRE – To hold the stucco coats to be applied over the next few weeks.